For many people with irritable bowel syndrome (IBS), socializing can be challenging and stressful. Having IBS symptoms such as diarrhea, gas, or the urgent need to use the bathroom can be embarrassing, and worrying about those types of situations can cause fear and anxiety. This can turn into a vicious cycle, with this type of stress and anxiety actually making IBS symptoms worse for many people. However, there are many tips and strategies that people with IBS can use to make them more confident and prepared when socializing outside of the home. Feeling in control of your condition will help to reduce your anxiety and stress levels, which can in turn help to reduce your symptoms. Being prepared and planning in advance are crucial for people living with IBS. Taking the time to prepare will make you more confident and allow you to relax and enjoy your social life. One important tip is to prepare by locating the nearest bathroom in any setting where you will be spending time, whether in someone’s home or out in public. There are apps available that you can use to locate public restrooms nearby, and don’t be hesitant to let a business owner know that you have a chronic medical condition when asking if you can use their restroom. The same strategy is useful when traveling to and from social gatherings. Many people with IBS prefer to drive themselves when possible rather than using public transportation, so that they can stop to use a restroom as needed. Plan out the route you will be driving and take note of where rest areas may be located, or the distance between exits where you can stop off if need be. Be sure to build in plenty of travel time, so that you are not stressed about being late if you need to stop for a restroom break. Many people find it helpful to carry an emergency kit or “survival pack” in a bag, backpack, or purse while they are out an about. Include extra supplies such as medications, tissues, wet wipes, and/or a change of clothes and underwear. Being prepared for emergencies will make you feel more confident and relaxed. Most people with IBS have symptoms that get worse when they eat, and especially when they eat certain types of trigger foods. Being aware of and avoiding your own trigger foods is an important first step in managing your symptoms while you are out socializing. Eating out at restaurants can often be a problem for people with IBS, with the temptation to eat large portion sizes and rich, fatty, or fried foods that you would not normally eat at home. Drinking alcoholic beverages while socializing can also make symptoms worse for some people. However, there are good strategies for dealing with these challenges. Some people find it helpful to bring their own food when they go out, or to entirely avoid eating while out by eating several small meals at home before they leave the house. If you are in a situation where you must order or eat food while out, then try to select dishes that are simple, small, and avoid any of your triggers. Some people with IBS may become overwhelmed with the challenges and stresses of socializing that they start to avoid social situations altogether. Over time, this can have the effect of making you even more anxious, which can lead to feelings of isolation and depression. These feelings can cause people to turn to alcohol, smoking, and/or unhealthy foods to deal with them, all of which can make IBS symptoms worse. Rather than avoiding social situations, try to find effective and healthy ways to manage and reduce your stress while socializing. Be aware of your feelings and of what kinds of situations trigger stress and anxiety for you, and try to recognize your emotional and physical reactions to these stressful situations. Then try to find strategies to reduce stress and anxiety before they snowball. Some people find that meditation or relaxation techniques can be very effective. Others find that putting the effort into planning and preparation before a social event makes a big difference. If you find that you are feeling stressed, anxious, or depressed a lot of the time, or if those feelings seem to be getting worse, be sure to talk with your healthcare providers. They may be able to recommend strategies such as counseling, support groups, or medications to help you cope with stressful situations. 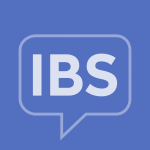 IBS is a condition that many people have myths and misconceptions about, which can make living with IBS feel isolating at times. Try to socialize with friends and family who understand how the condition affects your body. While it might be embarrassing to talk about at first, let your loved ones know what you are going through so that they can be sympathetic and supportive. People close to you may need to be educated about the condition so that they can help you out during emergencies or embarrassing situations. Don’t be afraid to reach out to and socialize with people who have your back.